Provide comfort for the family of Marcella Jewett with a meaningful gesture of sympathy. Marcella A. Jewett, 89, of Dubuque died Monday, January 7, 2019 at Stonehill Care Center. Visitation will be from 4 to 6 pm Friday at the Egelhof, Siegert And Casper Westview Funeral Home and Crematory, 2659 Kennedy Road. Mass of Christian Burial will be 10 a.m. Saturday at St. Anthony's Catholic Church. Burial will be in Resurrection Cemetery. Marcella was born October 8, 1929 in Asbury, IA, daughter of Michael and Elizabeth (Schilling) Wernimont. On November 29, 1947, she married Donald Jewett at St. Philomena's Church, Asbury, Iowa. They spent 70 years together and traveled world. He preceded her in death on August 13, 2018. Growing up after the depression Mom was not a stranger to hard work and instilled that work ethic in her kids. She worked at JC Penny's for many years, retiring for the last time at the age of 70. She loved sports and in her early years played softball for the Philomena Peaches. She also enjoyed bowling, jigsaw puzzles and playing cards, especially cribbage and euchre, and playing slot machines. She had a special love of music and enjoyed dancing and playing the piano. She passed this love of music down to her children. Although she lived in the city, she grew up on a farm in Asbury and never strayed too far from her roots. In summer you might find her picking strawberries at the local strawberry farms and she loved to go to the apple orchards in the fall. She lived for many years on Hoyt Street in Dubuque where she and Dad raised our family. The Jewett house was the place where all the neighborhood kids would hang out, have bonfires, go to after sledding on Bunker Hill for hot chocolate and enjoy her homemade goodies. She was a fantastic baker and her pies and divinity candy were special treats for everyone. We will miss her sense of humor, her phone calls to just "check in" on us and special kind of love only a mother can give. She is survived by eight children, Shirley Hansberger of Memphis, TN, Dave (Sandy) Jewett of Asbury, IA, Steve (Linda Locher) Jewett of Asbury, IA, Gail Wilkinson of Davenport, IA, Helen (Bob) Gednalski of Asbury, IA, Bill (Julie Wilhelm) Jewett of Sun Prairie, WI, Dan (Susan) Jewett of Gloucester, VA, and Trish (Phil Brennan) Jewett of Dubuque; 18 grandchildren; 31 great-grandchildren and two brothers in law, Mel Lolwing and Jim (Joan) Jewett. Memorials may be made to the Marcella Jewett Memorial Fund. We wish to thank the staff members at Stonehill Care Center and Oak Park Place for the kindness and caring they showed to her during her time there. To send flowers in memory of Marcella Jewett (Wernimont), please visit our Heartfelt Sympathies Store. We encourage you to share your most beloved memories of Marcella here, so that the family and other loved ones can always see it. You can upload cherished photographs, or share your favorite stories, and can even comment on those shared by others. 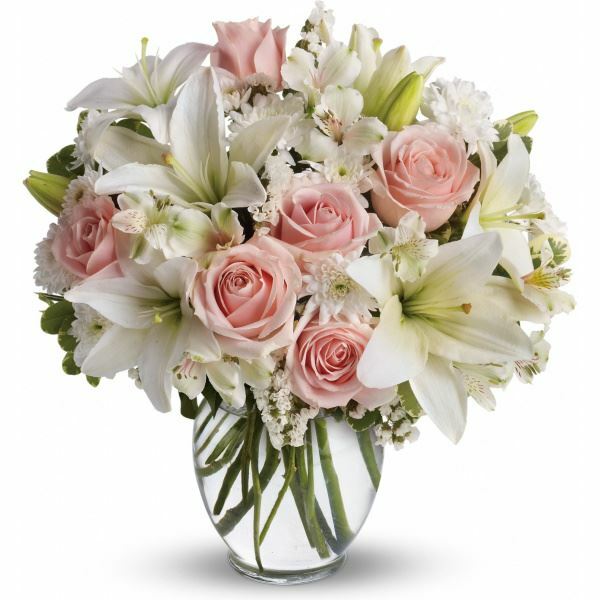 Your New York Life Family sent flowers to the family of Marcella Jewett (Wernimont). Every life is a song, a melody of their own, a special gift theirs alone. It is shared with a special love and given to those who have a bond. Through life there are ups and downs. And in the end you earn a crown. Bless the one who took care of us and thank you for this time and all the memories. In our hearts Mom will always be there and in your arms Lord we leave her in your everlasting care. So sorry for your loss. She will be missed by many. Your New York Life Family purchased flowers for the family of Marcella Jewett.